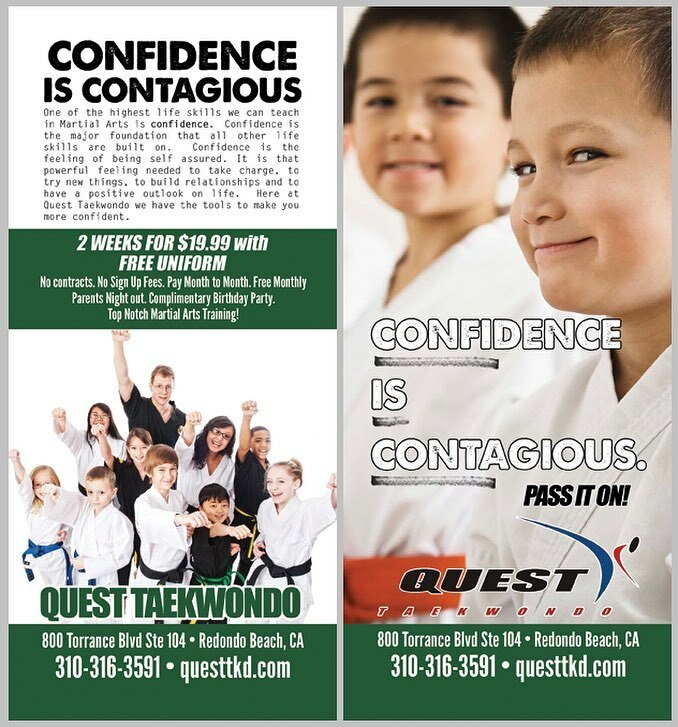 QUEST Taekwondo was founded in 2006 by former Filipino Olympian, Master Walter Dean Vargas. Drawing upon several decades of experience on the world stage as a competitor, coach, and mentor, Master Vargas continues his QUEST to pass on his knowledge and to mold the next generation of Taekwondo champions. At QUEST, we teach body control, balance, power, strength, and stamina all while instilling confidence, discipline, and integrity. Respect, patience, and perseverance — the Quest for your black belt starts here. Call us today or click below to send us an email. We’d love to set up your first visit! Quest’s Black Belt of the month is — Cayden Kahan. Training for his 2nd Dan, Cayden is focused and intentional in his quest for perfection as he shares with us what his ultimate goal is as an athlete. Quest’s Black Belt of the month is — Maximilian Hauenstein. Max started as a Taeki back in April 2013 and now is fearlessly in the ring fighting for gold in whatever tournament he goes to. It is a joy to see him come in with a sense of expectation that this is going to be another great taekwondo day! Quest’s Black Belt of the month is — Cyrilla Zhang! A “No-Fuss” young lady who just seems to appear when she’s needed most. Now a 2nd Dan Black Belt, that accomplishment seems to have even made her more humble.